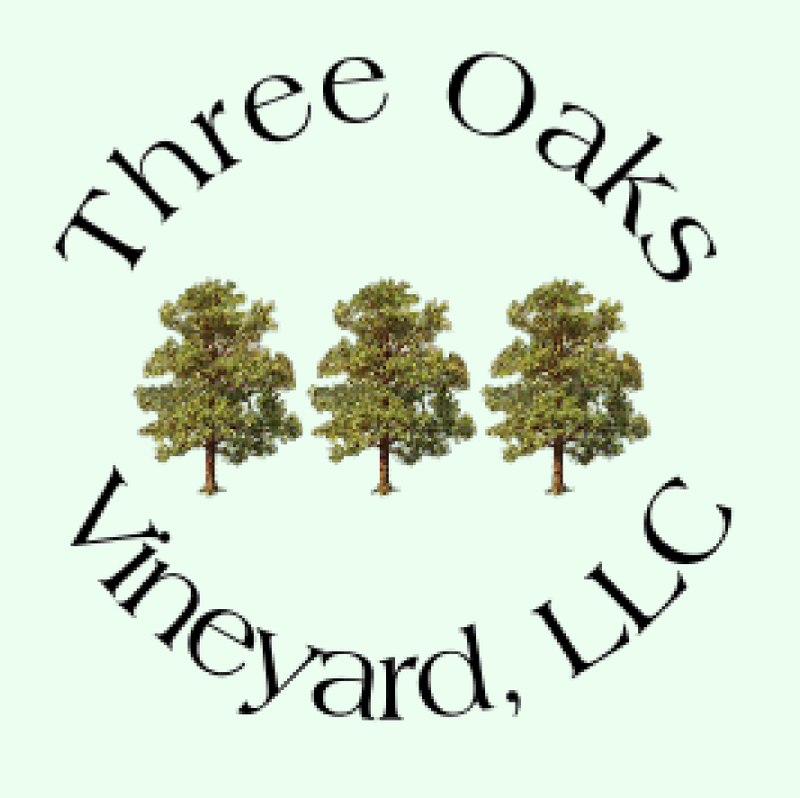 Welcome to Three Oaks Vineyard! At Three Oaks Vineyard, we want you to feel welcome as soon as you arrive. Come in for a tasting, sit out on the patio and enjoy a glass with friends. On Friday, Kirwin's Fork in the Road offers delicious light fare to have with your wine. 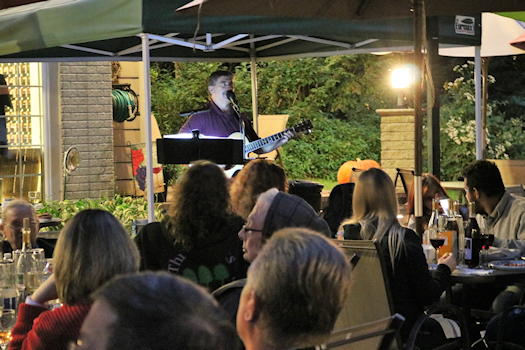 On Saturday, we have entertainment and food trucks through September, so check our Schedule page or Facebook for details. You are also welcome to bring a picnic lunch, buy from our food menu or stop at the Fredonia Mall (740-587-4064) on your way for sandwiches, pizza and more. 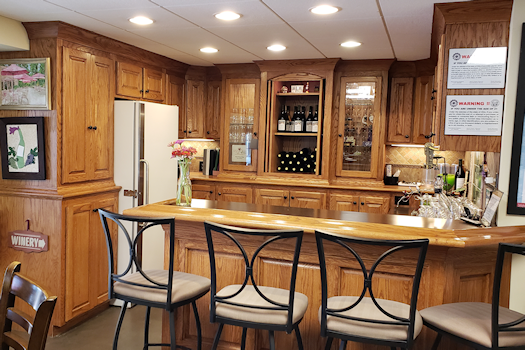 Our tasting room is in the lower level of our home. It's an intimate setting with a wine bar and seating for up to 12. Enjoy a glass of wine with friends out on the patio. A great place to relax with good wine and conversation. 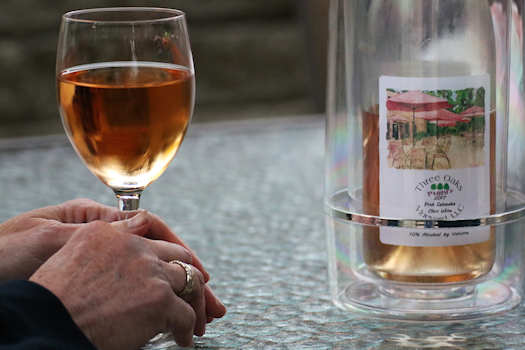 Due to Ohio Liquor Control laws, no beer or other alcoholic beverages can be served at our winery. We can only serve wine that we manufacture. It is also illegal to bring alcohol to the winery. To keep our permit active, we need to abide by these rules and appreciate your understanding. Before we moved to central Ohio, Pete ran his own construction business in Akron while Diana's career was in IT. We became interested in starting a vineyard back in 2006. We began with 9 vines the first year, and now we have around 800 vines and 10 varieties. In 2009, we decided to add aded to add an apple orchard. In January of 2012, we were approved as an Ohio Winery. Making wine is truly an art. There's so much to learn and we continue to get more experience and skill at the craft. In 2014, we were fortunate to travel with friends and family to the Bordeaux region of France. It was a very interesting and educational to tour the many vineyards and chateaux and compare their wine making to process to ours. Not to mention enjoying the wines! 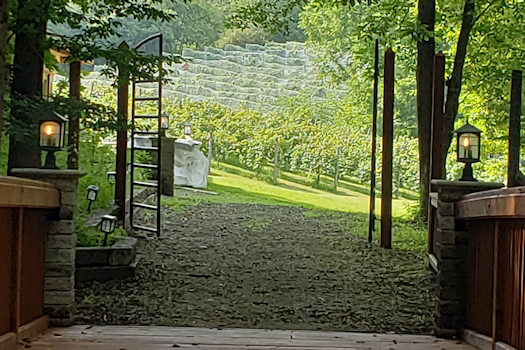 A small Ohio farm, we are growing some of the finest Ohio grapes. Our goal was to establish a small, family winery. On June 30, 2011. we applied for our winery license with the State of Ohio. On July 1, 2011, we completed our application with the Federal government and became a bonded winery on August 8, 2011. The bonded winery status allowed us to start the fermentation process for our wines. Effective January 9, 2012, we received our permits from the State of Ohio to sell wine but not have wine tastings. As of May 11, 2012, we had all of our permits and began serving wine in our winery! Please come join us for a glass of wine on the patio. Feel free to bring a picnic lunch to enjoy with your wine. Hope to see you soon.